L’Atelier Inox was created in 2007, a time were the stainless steel market was in a full growth. For economic and ecological reasons, the company is committed to make this alloy accessible for every one and to transform it worthily. We are mostly working in the Great East of France, but also throughout France, and Switzerland. We work directly with customers or via kitchen installers, prime contractors or reputable architects. Our commitment is to give you a well done work and creations that perfectly suit your wishes. We pay attention to details and we do not work with subcontractors. From design to creation, your projects are done in our workshops in Alsace. As soon as we start working on your project, we set up coordination between you and the company to create a project that meets your needs, in compliance with required specification. Stainless steel is an ecological material, made mostly of chromium (at least 10%), nickel (around 18%) and of a very low carbon level. This composition gives to this material its stainless feature as a full body stainless steel. Contrary to other corrosive materials such as common steel or aluminium (layer of alumina), a protective layer is not required for the stainless steel. After achieving a diploma of professional studies in manufacturing sheet metal products (NVQ, vocational diploma, and technician’s diploma), I began a sports career and become professional cyclist until 2033. Because of this passion, I opened a bike shop in 2005, Geko-bikes near to Mulhouse, Alsace in association with my brother. After that, my wish to redirect my professional life made me enter one of the best boilers making factory in Basel, Switzerland. In this factory, I produced stainless steel sheet metal pieces, and I then moved to a position with more responsibilities. Among the missions I am given, I am in charge of producing isolators for big pharmaceutical groups such as Novartis. I am also in charge of difficult tasks on the spot. This is where I get an unparalleled experience, in particular concerning working methods and the way to give a better quality service. But my taste for entrepreneurship made me create the company L’Atelier Inox in France in 2007. Design your interior with a custom made staircase, with an industrial or modern style, with mono stringer, spiral staircases, with wooden steps or steel with rust design steps… You can customise your staircase the way you want. You need an outside staircase? We manufacture it. Our creations are made in our workshops and delivered at home and installed by our professionals. Our stainless steel experts are working the materials with creativity and imagination to propose you original, stylized and unique products. From coffee table and design coat rack to mirror, tell us your needs and we will create the most beautiful custom made products. We create floor coverings combining stainless steel structure and custom made glass. 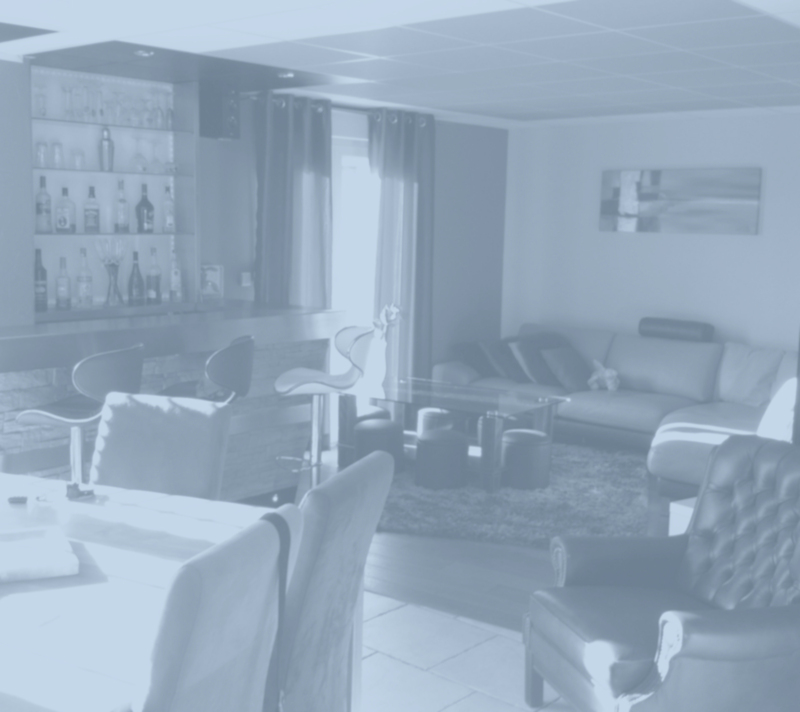 Those creations are adapted to your interior and installed by our professionals to provide you serenity and security. Add a modern touch to your home and opt for a stainless steel and glass floor covering for your mezzanine. We are aware of the specific needs of professionals, linked to their activities. That is why we propose a large stainless steel product line to fit their needs. You own a restaurant, an industry, a shop or a supermarket chain? 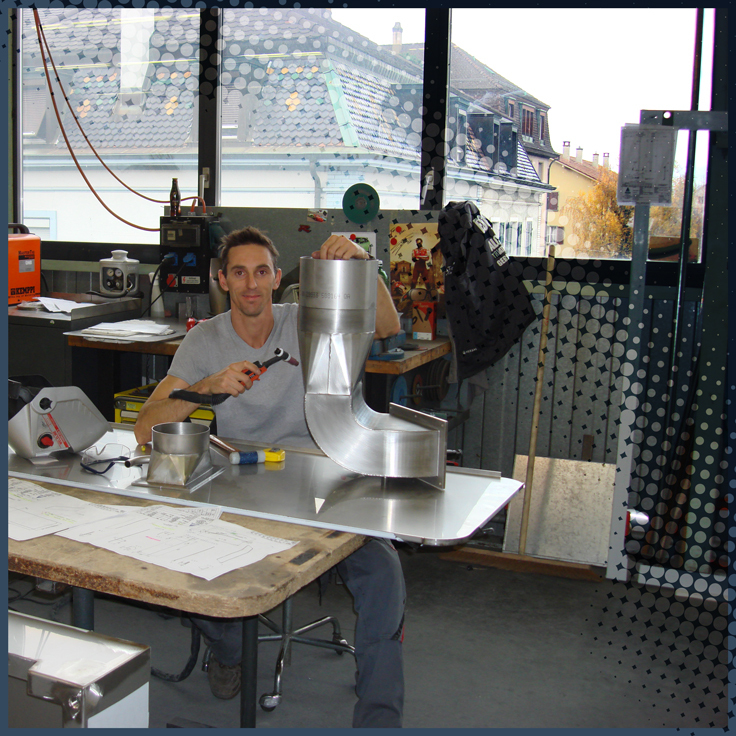 Tell us about your creation or renovation projects, and trust qualified staff to create your stainless steel projects.